The turret is from company B, I gave the gun some nice 1/48 turned brass barrels since the original barrels were really thin and looked more like corkscrews than gun barrels. 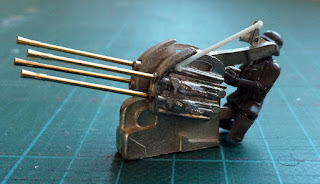 I Also added the guiding rod that connects the sight with the gun. 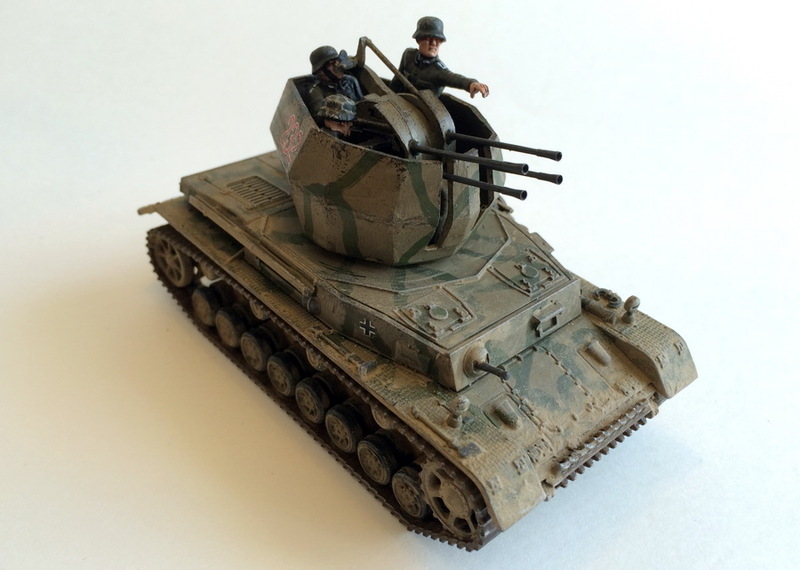 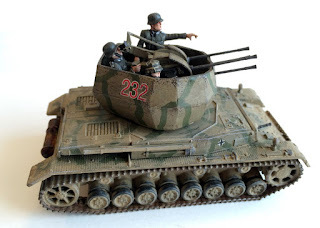 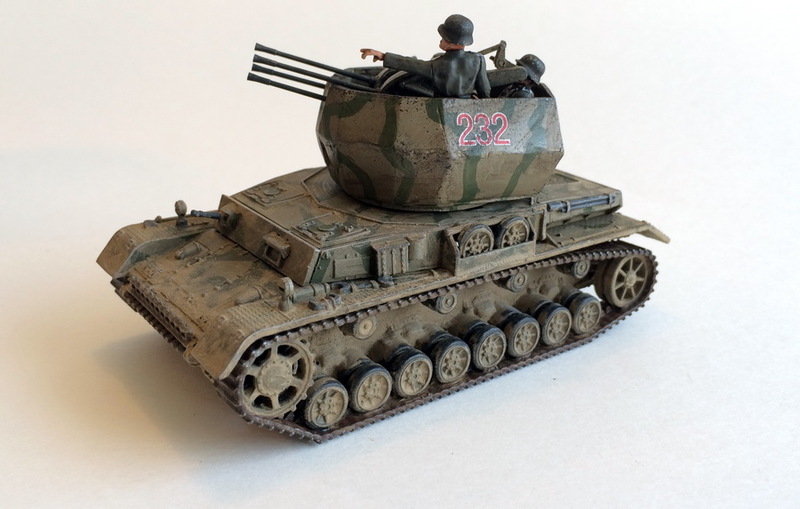 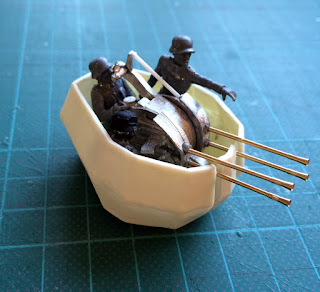 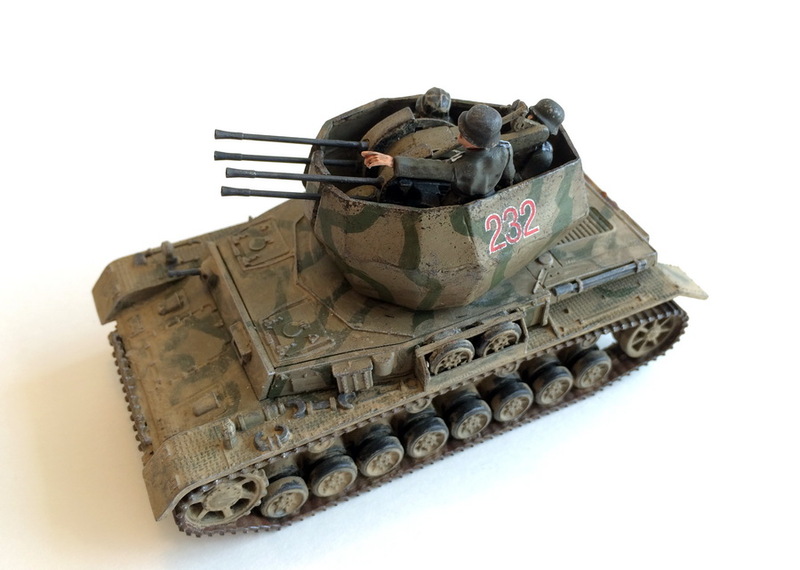 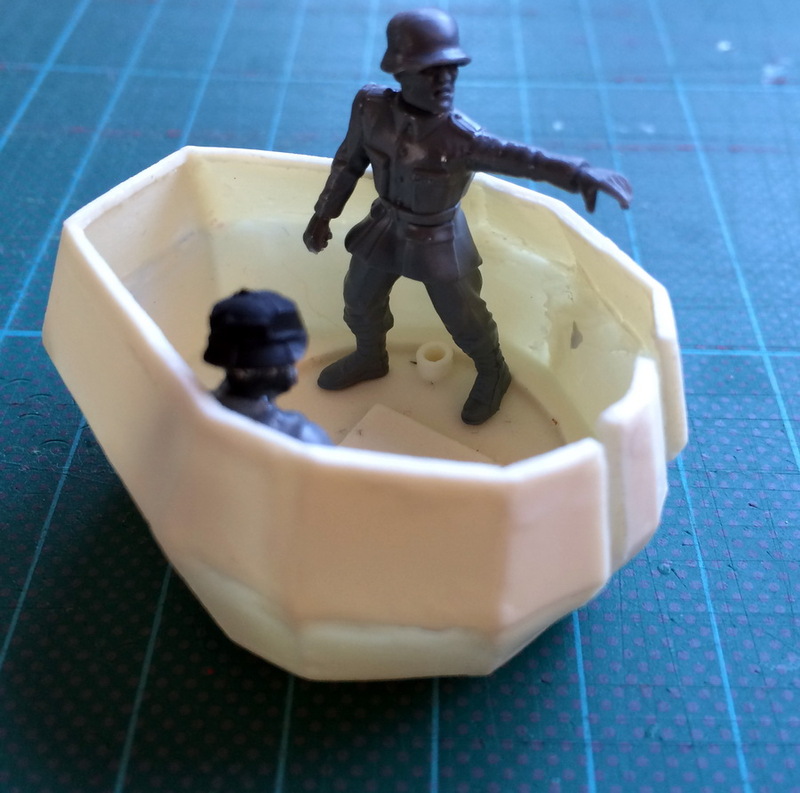 The crew that came with the gun didn't work at all (two panzer commanders with binoculars) so I made a new crew from bits of warlord games and wargames factory plastic germans. 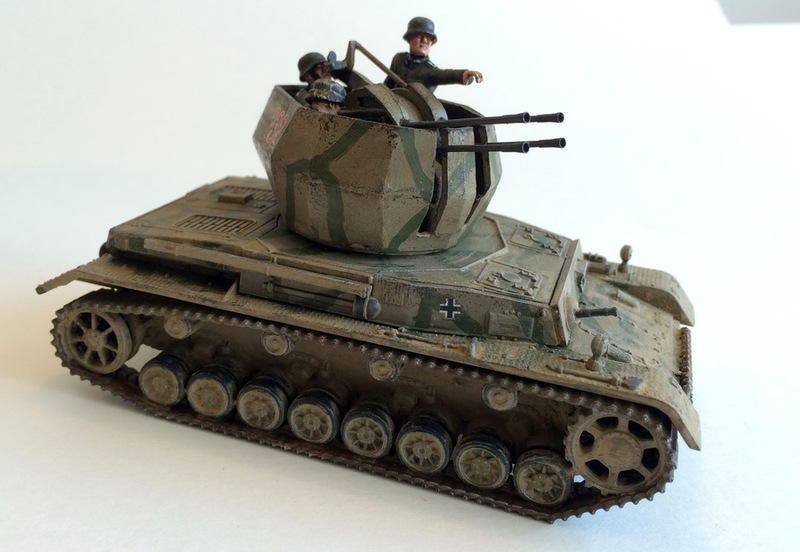 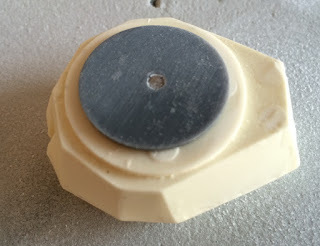 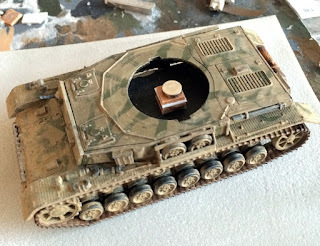 I magnetised the turret and in that way I was able to used my panzer IV from Rubicon Models with some minor modification.